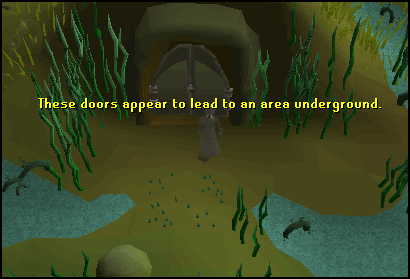 The Canifis Dungeon is used as a shortcut through the gloomy Mort Myre swamps. The dungeon is the main hideout for the Myreque, a group fighting the evils of the swamp. The dungeon is the main staging point for In Search of the Myreque. 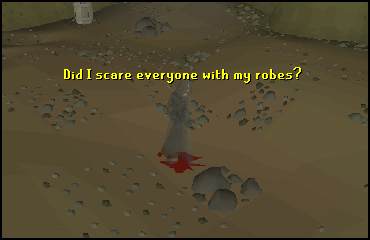 It is also featured in the quest In Aid of the Myreque. 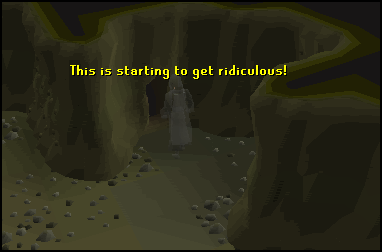 After completion of the Legacy of Seergaze, along with an Agility level of 65, the dungeon can also be used as a shortcut to Meiyerditch, as well as the Blood Altar. 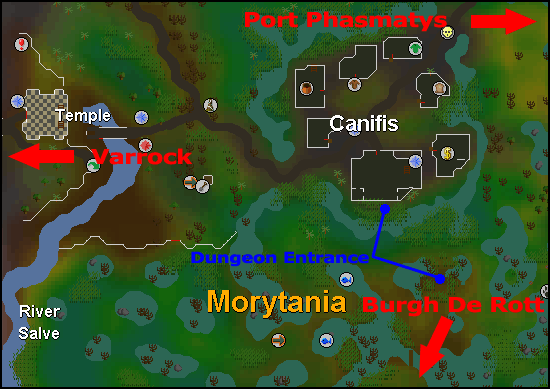 The Canifis dungeon includes two entrances: one behind the pub in Canifis and the other in the swamps of Morytania. Both of these locations can be seen in the map below. 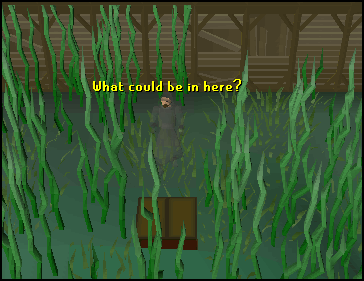 The entrance behind the pub in Canifis is hidden amongst the swamp grass in a trapdoor. The entrance in the swamps of Mort Myre is used more-so as an exit to reach Mort'ton and surrounding cities. If you went south from the entrance to the bridge crossing the swamp, and continuing south until you reached a boat, you could get to Mort'ton and the surrounding cities with ease. 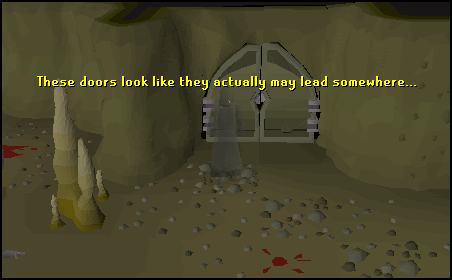 When you first set foot inside Canifis dungeon from the Canifis entrance, you will be inside of a small room with a few rats and a broken ladder. The ladder doesn't lead anywhere and is there for decoration. There is also many crates, bookshelves, a few barrels, three stools, and a lab table. All of these are also for decoration. On the southern wall is a secret entrance to the rest of the dungeon and when searched, it will allow you through to the other side. On the other side of the wall is the main corridor of the dungeon, which is filled with small rats (level 1) and giant rats (level 3). The first point of interest of the guide is at the cave entrance on the eastern wall, just a bit south past the dungeon entrance. This entrance is boarded up with wooden planks but is taken down during In Aid of the Myreque. This cave is the resting place of Ivandis Seergaze. On top of his tomb is the mould for the Silvthrill rod, which is used during In Aid of the Myreque. 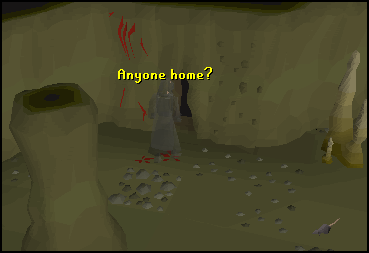 Other than the tomb, this cave is also part of the shortcut to the blood altar and the city of Meiyerditch. The entrance to the rest of the shortcut is to the south of where you first come into this cave room. 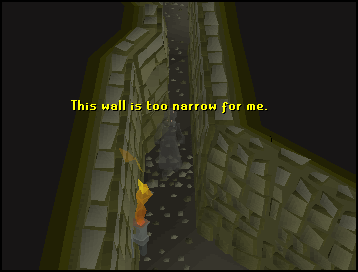 Following the corridor, you will end up at an agility shortcut, which requires level 65 agility to pass. 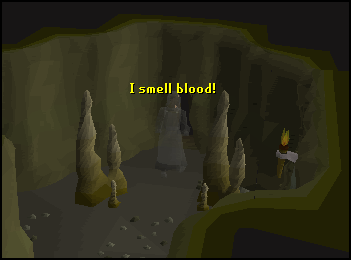 Once passed, the blood altar will be in a room on the north wall. While going through the whole corridor, watch out for skeletal hands (level 80). Going back to the main dungeon corridor, the next cave entrance is on the western wall, just a little ways south from the last entrance. This room features two giant rats (level 6) and a deadly red spider (level 34). On the western wall of the room is another cave entrance. 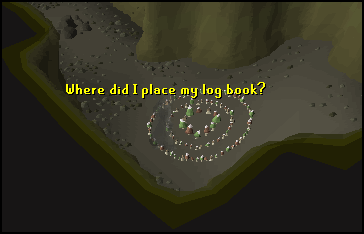 Inside of this room is a fairy ring, whose coordinates are DLS. 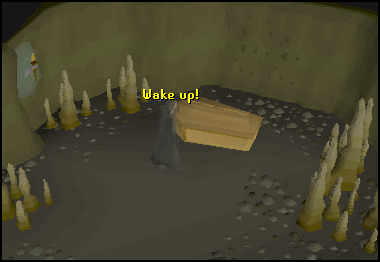 For those who have completed Fairy Tale Part 2: Cure a Queen, this teleport serves as a big shortcut to Canifis. Completion of Priest in Peril and In Search of the Myreque are required to use this teleport. Back to the main corridor, the next cave entrance is right across from the last entrance. 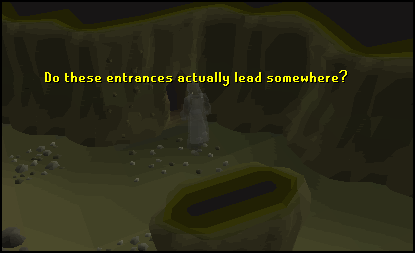 This entrance is a bit different and requires you to squeeze through stalagmites. 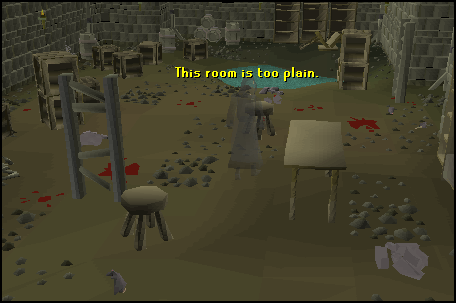 This room is the original hideout of the Myreque. After In Aid of the Myreque, they had all packed up and left for the southern cities of Morytania. There is really nothing special about this room and serves no purpose, other than it's the starting location of In Search of the Myreque. Once again, the next cave entrance is in the main corridor. This one is to the south of the last entrance. 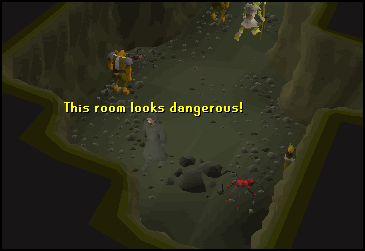 This is another room that has no purpose and really should be overlooked when traveling through the Canifis dungeon. 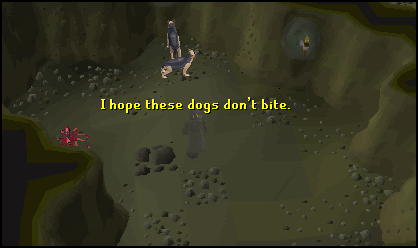 The only difference to this room is that is features two dogs but they are unattackable, but there is a deadly red spider (level 34). The next place to visit and the last place in the Canifis dungeon is another cave entrance, which is located to the south of the last one. 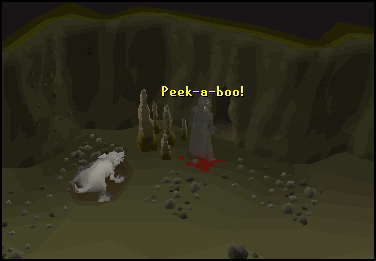 Much like the last two caves, this one serves no special purpose. 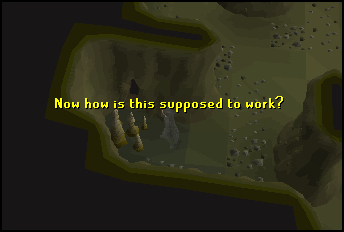 The only difference is that this cave has a few poison spiders (level 64), hobgoblins (levels 28 and 42), and goblins (levels 2, 5, and 13). 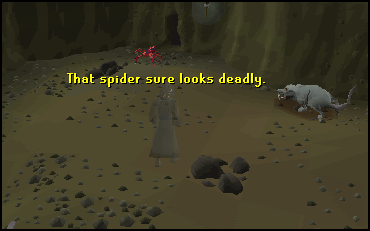 If you plan on going in this room, it would be wise to bring an anti-poison potion in case you get attacked by a poison spider. Back out in the main corridor to the northeast are the doors to the Mort Myre swamp and the end of the Canifis dungeon.